Asian culture with its ancient traditions and values is one of the most interesting and is able to engage the interest of millions of people worldwide. One of the places in the Republic of China, that has managed to retain their many historical and cultural treasures, is the city of Xian. Xian ranks first among the most visited tourist sites in China. The interest of this ancient city is caused mainly because of the many archaic monuments and relics which can be seen in it. In fact, no other city in China, such as Xian, has succeeded to such an extent to preserve historical monuments, its old traditions and honoring them. The city of Xian is located in central China and is the main administrative center of the Chinese province of Shaanxi. It is also the largest city in this part of the country, the number of inhabitants reaches about 3 million people and the city extends over an area of 9.98 sq. km. Xian is the glory of one of the most ancient cities in the Chinese history as it largely explains the huge wealth of the historic city which for centuries was the capital of the whole nine Chinese dynasties. Under different names Xian was headquarters of one of the most famous families in the Asian Republics, such as Zhou, Qin, Han, Sui and Tang Dynasty. 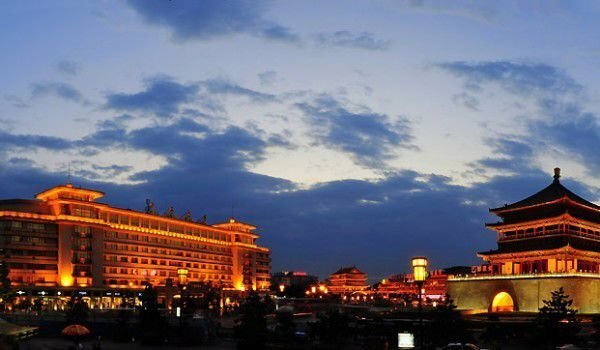 The city brings more than 3100 years of history, before the reign of the Ming Dynasty it was known as Chang'an. The name literally means Chang'an "Eternal Peace" and the name itself Xian translates as "Western Peace". The strategic location of the city for centuries set an important trading stop on the Silk Road, as Xian was the end point of this notorious historical route. 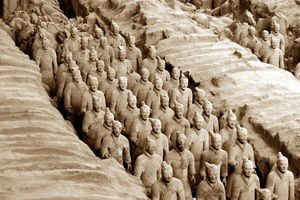 Xian is also the place where the so called, Terracotta Army formed during the reign of the Qin Dynasty. The city ranks first in the number of historical and cultural monuments in China, Xian is the most visited tourist destination in the country. One of the most impressive places in the Chinese city, which must be seen are the Clock Tower, Museum Banpo and Neolithic culture, the Mausoleum of Emperor Shi Huang and the first emperor of the Qin Dynasty of which is considered one of the wonders of the world. Also other mandatory stops thre are the, little wild goose pagoda, and hot springs Huatsinchi. Huatsinchi hot mineral springs are located outside of Xian, about 25 kilometers northeast of the city and built around the former imperial winter residence. The fact that there was the imperial headquarters, entails enormous historical events in the intensity of this extremely beautiful natural area around Xian.